Murphy Company has hired Chris Hamilton CHST as corporate safety director. The announcement was made by Thomas Skaggs, vice-president of safety. A certified Construction and Health Safety Technician, Hamilton holds a Bachelor of Science in safety management from Central Missouri State University in Warrensburg. 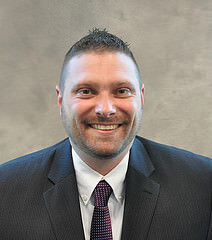 Following graduation, he joined Clayco, Inc. as a safety engineer, and was subsequently promoted to assistant safety director and then, to director of safety and health in 2012. Hamilton has assisted in the management/development of corporate safety programs, worker’s compensation programs, and has verified employee compliance with substance abuse programs. He is a member of the Board of Certified Safety Professionals, the American Society of Safety Engineers, the Associated General Contractors (AGC) of Missouri and the St. Louis Safety Council. He also has successfully completed the U.S. Army Corps of Engineers Construction Quality Management for Contractors and the American Red Cross’ First Aid/CPR/AED instructor, and asbestos worker training certification training. With the Occupation Safety and Health Administration, he has completed OSHA 500, scaffolding, fall protection, confined space entry and excavation training courses, among others. He also has completed qualified rigger and qualified flagger training, and has developed crane critical lift plans.